What to do before your Assessment? What Happens at your Assessment? What is Dementia? – General information about Dementia provided by Aged Care Australia, an Australian Government Website. Click here for more information. Help for people with Dementia – This link provides information about support available for people with Dementia, their carers and their family, as well as introducing a wide range of community care programs that are accessible. Click here for more information. Caring for Someone with Dementia – Information about help available for carers as well as information on how to understand Dementia. Click here for more information. Tips for Carers of People with Dementia – Information on services available that offer education, support and respite care. Click here for more information. Prevention and Awareness of Dementia – Information on things you can do to relieve symptoms, maintain the best possible health and educate yourself about the illness. Click here for more information. Aged Care Homes for People with Dementia – Information on the services available, government policies and the costs involved to help you make the best choice for aged care. Click here for more information. Legal Issues for People with Dementia – Information on planning legal and financial affairs. Click here for more information. Dementia and Continence Management – Information on managing incontinence. (loss of control of the bladder and/or bowel). Click here for more information. Dementia and Behaviour – Information on understanding behaviours associated with Dementia. Click here for more information. 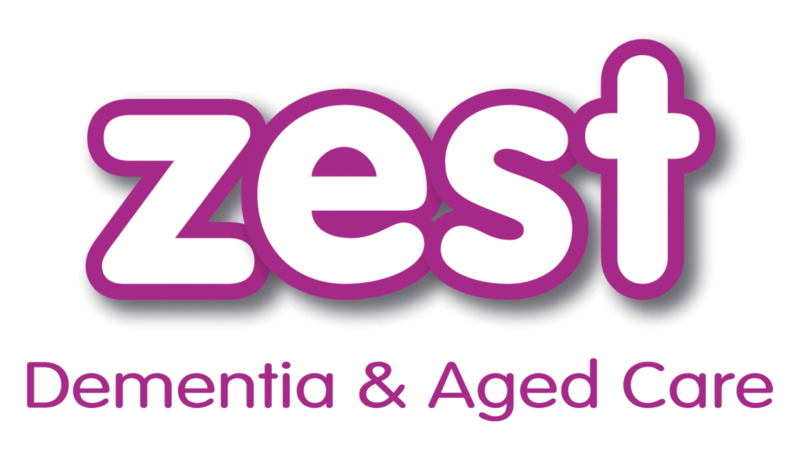 Dementia Resources and Useful Contacts – Useful links and resources. Click here for more information. Help for People Living at Home with Dementia – Information on organisations that support people with dementia, their carers and family. Click here for more information. Being assessed for Community Care –Your local Aged Care Assessment Team (ACAT or ACAS in Victoria) is made up of health care professionals who can help you make decisions and provide guidance on community programs and government services available to help with aged care. Click here for more information. Aged Care Assessment Team Finder (ACAT Finder) – The Aged Care Assessment Team (ACAT) finder will help you find Aged Care Assessment Teams to assess you for various government services and community programs. Click here for more information. What to do before your Assessment? – Information on what to expect at your assessment. Click here for more information. What Happens at your Assessment? – Information on what will take place at your assessment. Click here for more information. What Happens after your Assessment? – Information on what to expect after your assessment. Click here for more information. Community Aged Care Packages – The Community Aged Care Package (CACP) program provides a planned and managed package of community care if you require complex care and would like to remain living in your own home. Click here for more information. Home and Community Care (HACC) Program – The Home and Community Care (HACC) program provides a basic range of maintenance and support services to help you stay at home for longer. Click here for more information. Extended Aged Care at Home Dementia Program (EACHD) – This is a program that offers assistance due to behavioural problems associated with Dementia, to help the person with Dementia remain in their own home for as long as possible. Click here for more information. Commonwealth Respite and Carelink Centres – Information on a wide range of community, aged care and support services for older people, people with disability and carers. Click here for more information. What are the stages of Dementia? Click here for more information. Carers Australia provides unpaid care and support to family members and friends who are frail or who have a disability, mental illness, chronic condition or terminal illness. The purpose of Carers Australia and its network of Carers Associations in each state and territory is to improve the lives of carers. They provide important services like counseling, advice, advocacy, education and training. They also promote the recognition of carers to governments, businesses and the wider public. Click here for more information. An office of the DBMAS has been established in each State and Territory to assist people with Dementia and their families, to manage the impact of changed behaviours as a result of the Dementia. The aim of the program is to improve the quality of life for people with Dementia and their carers. The DBMAS also provides clinical support and advice to all Australian Government funded aged care services. For more information call 1800 699 799 (24 hours a day). Living with Dementia (downloadable/printable resource) – Living with Dementia provides practical information to enhance understanding of Dementia. This Booklet includes guidance for people living with Dementia (including people with younger onset Dementia) and their carers to assist them in making informed decisions about the future and enhance quality of life. This booklet also provides information on other supportive services, publications and organisations available in Australia. Click here to read or print this booklet. Alzheimer’s Australia has produced various Help Sheets to address the most commonly raised issues about Dementia. The Help Sheets have been categorised into sections to help you find the answers to some of your questions. The Help Sheets below are in English only. Click here to obtain help sheets in languages other than English. About Dementia – Help sheets covering topics including diagnosis, planning, memory changes, research and types of dementia. Click here to access these help sheets. Caring for Someone with Dementia – Help sheets covering issues facing families, carers and friends. Also useful for health professionals of people with Dementia. Click here to access these help sheets. Looking after Families and Carers – Help sheets for families and carers of people with Dementia providing suggestions on how to look after themselves. Click here to access these help sheets. Residential Care and Dementia – Help sheets to help families and carers prepare for the difficult decision of finding an alternative to caring for a person with dementia at home. Click here to access these help sheets. Changed Behaviours and Dementia – Help sheets to help you understand the different ways Dementia affects people. Understanding why someone is behaving in a particular way may help you cope with these behaviours. Click here to access these help sheets. Young People and Dementia – Help Sheet to help children understand Dementia and suggestions on how they can help the person with Dementia. Click here to access these help sheets. Younger Onset Dementia – Younger onset Dementia is usually used to describe people under the age of 65 diagnosed with Dementia. The Help Sheets provided on this topic place emphasis on the importance of a correct diagnosis and provide some aspects of caring for someone with younger onset Dementia. Click here to access these help sheets. About You – Information for People with Dementia – Help Sheets providing information specifically for the person diagnosed with Dementia including early planning, driving and employment decisions. Click here to access these help sheets. The Environment and Dementia – Help Sheets providing advice for creating a safe and comfortable home environment for the person living with dementia, their family & carers. Click here to access these help sheets. The National Dementia Helpline – 1800 100 500. This service offers information, advice, counselling and referrals for a range of support services that can assist with your concerns or questions about Dementia.